Two of China's great statesmen met this morning, when President Hu Jintao unveiled a statue of the late Chinese leader Deng Xiaoping on the eve of the 100th anniversary of Deng's birth. Hu said the great contributions Deng made to China's revolution, development and reform will be remembered in history books. 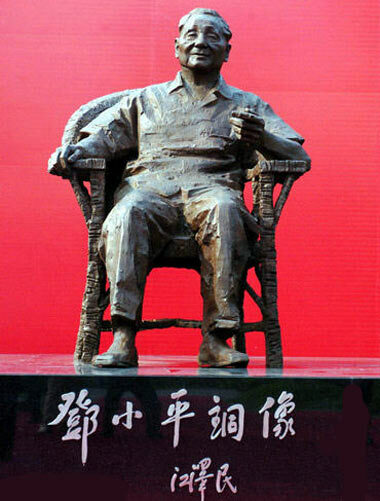 The bronze statue of Deng Xiaoping stands in his hometown -- Paifang village of Guangan City, in southwest China's Sichuan Province. 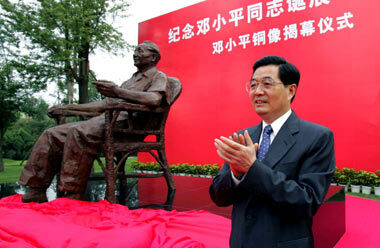 When President Hu Jintao unveiled the statue at a quarter past nine Friday morning, people at the ceremony saw the great man again -- sitting on a chair and smiling. 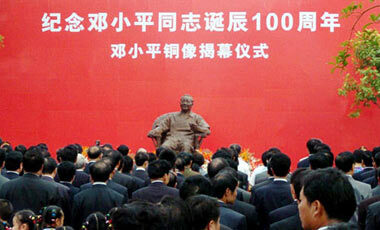 The Chinese characters for "Statue of Deng Xiaoping", as penned by Jiang Zemin, Chairman of the Central Military Commission, are engraved on the marble pedestal. In saluting the late leader, Hu Jintao said the spiritual wealth Deng Xiaoping left behind will continue to inspire the country to seek greater success. 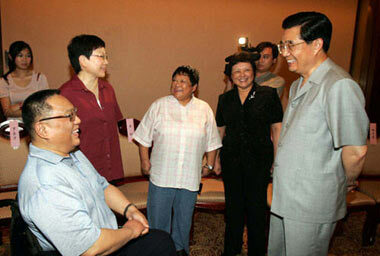 Hu pointed out the best way to remember Deng Xiaoping is to carry his spirit and go forward down the road of building socialism with Chinese characteristics. 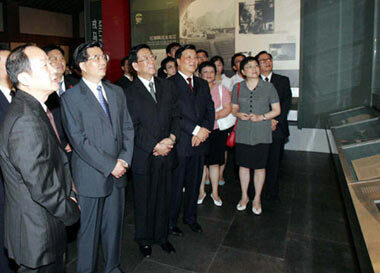 Hu also paid a visit to an exhibition chronicling Deng Xiaoping's life, and to the house he was born in. 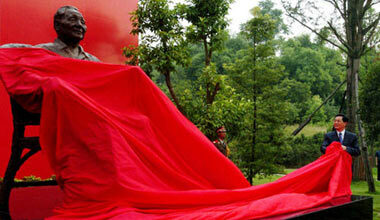 Government officials, relatives and people who worked with Deng attended the unveiling ceremony, along with representatives of local residents.